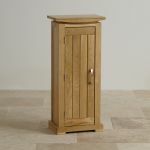 The Tokyo Natural Solid Oak CD Storage Unit allows you to store away up to 140 standard CD cases. 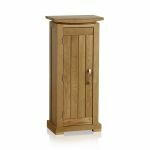 With your CD collection tucked away neatly and accessibly, this cabinet enables easy organisation over five shelves, plus protection from dust and damage behind the solid oak cupboard door. 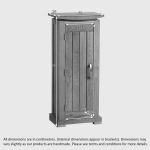 The Tokyo collection is inspired by traditional Japanese design, handcrafted in premium grade solid oak. Our expert joiners only use the finest cuts of oak available, and each piece is finished with clear furniture wax to enhance the exquisite grain patterns. 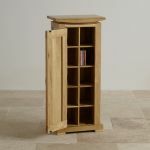 This CD storage unit is just one of many innovative storage units in this range. 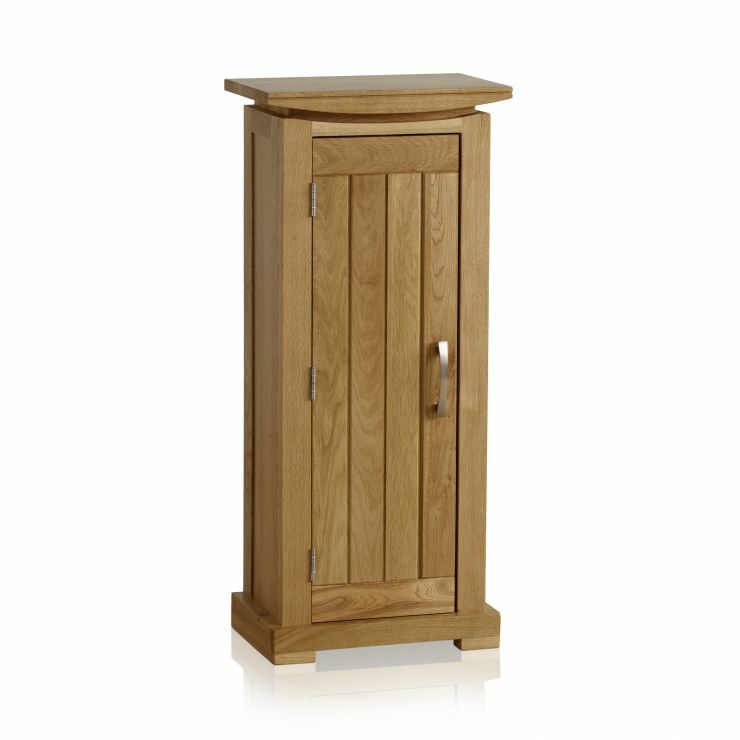 Browse the rest of the Tokyo Solid Oak collection to complete your new look.